Those of you who come here often (thank you faithful readers) will know that our cottage garden overlooks a field called Townsend Meadow. Ironically, few of today’s Wenlock residents probably know this unless they have looked at the old tithe map. Doubtless our good neighbour Trevor knows because he has lived his whole life here, and his father before him. The manorial landlord and his agent probably know it too. Anyway, as to origins, the name says all. The field’s present fence-line along the Sytche Brook (which gathers in the run-off from nearby Wenlock Edge) once marked the northerly limit of Much Wenlock. Of course the town has sprawled beyond it since, but not very far. The presence of two great limestone quarries with their regular programmes of blasting and accompanying dust storms well into the 20th century, probably discouraged development, though did not deter the erection of the Lady Forester Memorial Hospital opened in 1903, now a care home, or in 1953 the building of the Much Wenlock Modern School (now the William Brooks School), the latter proving in 1981 to be well in the flight path of exploding debris from neighbouring Shadwell Quarry when three pupils were injured during a blast. Now the quarries are abandoned and silent, and out on Townsend Meadow it is usually pretty quiet too, apart from the calls of rooks, jackdaws and buzzards. Now and then the farmer arrives with another dose of agri-chemicals. This field has been our view for twelve years now. We never tire of it, and especially the play of light and cloud movement along the false horizon to the west. 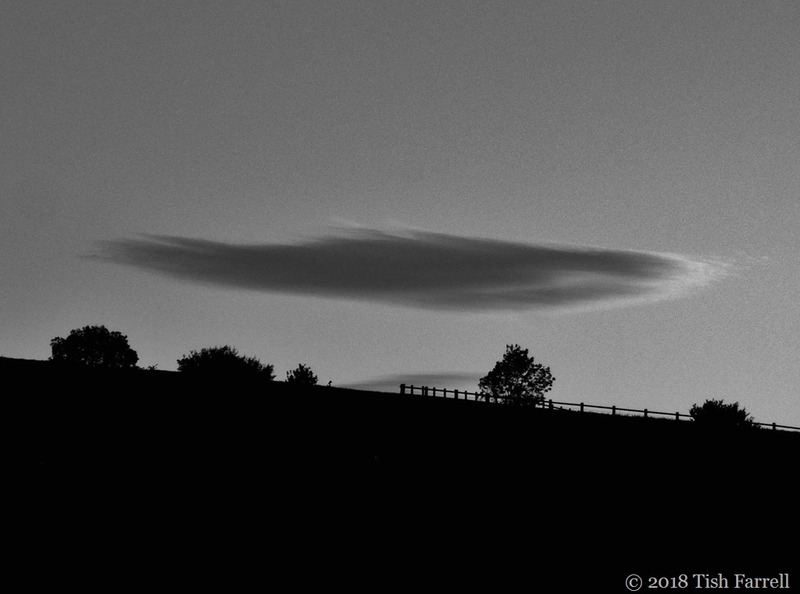 I never stop taking photographs of it either – usually on my way to or from the allotment. 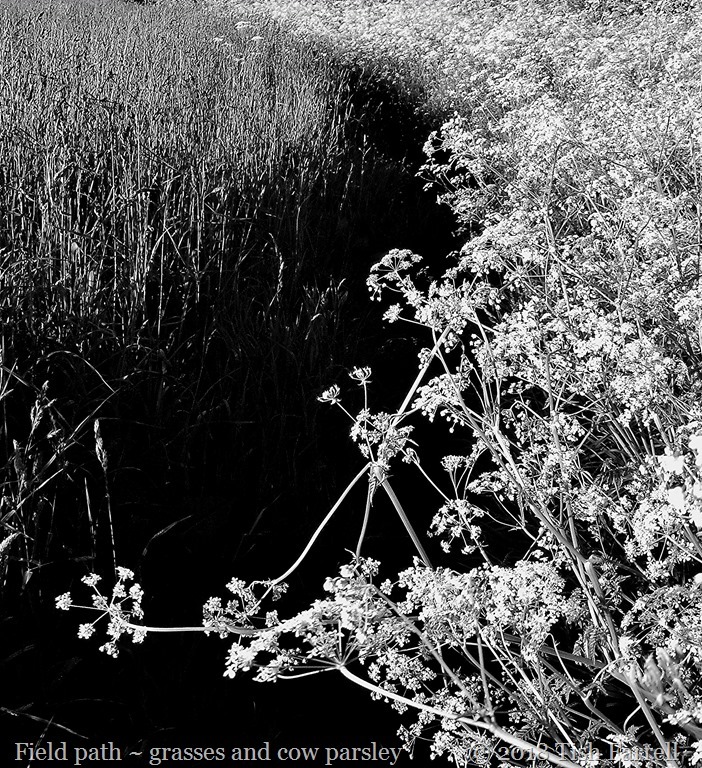 So here are some of my monochrome images, taken with my Lumix point-and-shoot digital camera on its monochrome setting. i.e. they are not edits of colour images, and some are taken in low light conditions which accounts for the grainy look. 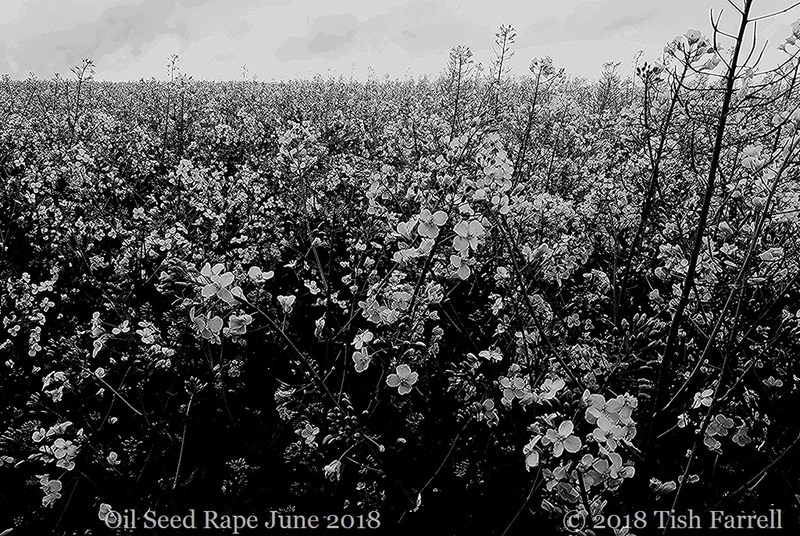 Cee’s Black & White Photo Challenge: Field Many thanks to Cee for hosting this challenge. 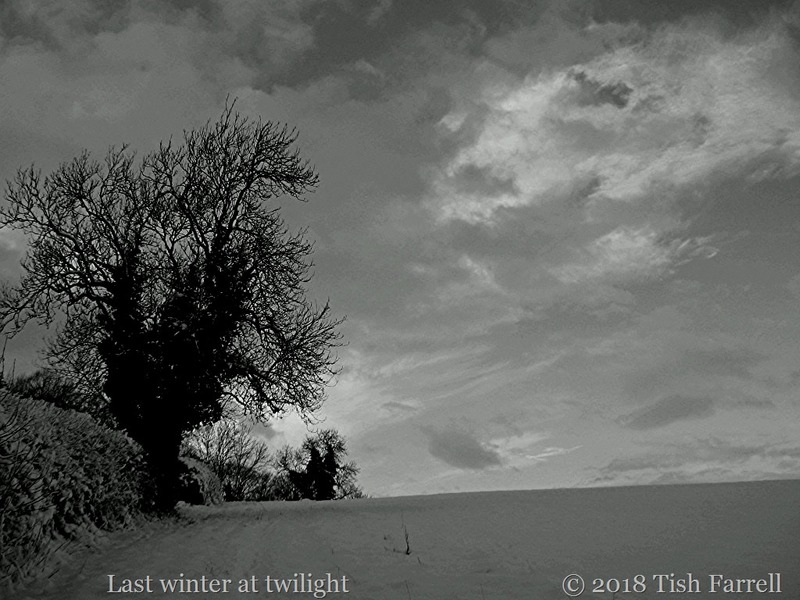 Posted on November 30, 2018 by Tish Farrell	This entry was posted in black & white photography, Landscape and tagged Cee's Black & White Photo Challenge, monochrome, Much Wenlock, Tish Farrell Writer, Townsend Meadow. Bookmark the permalink. 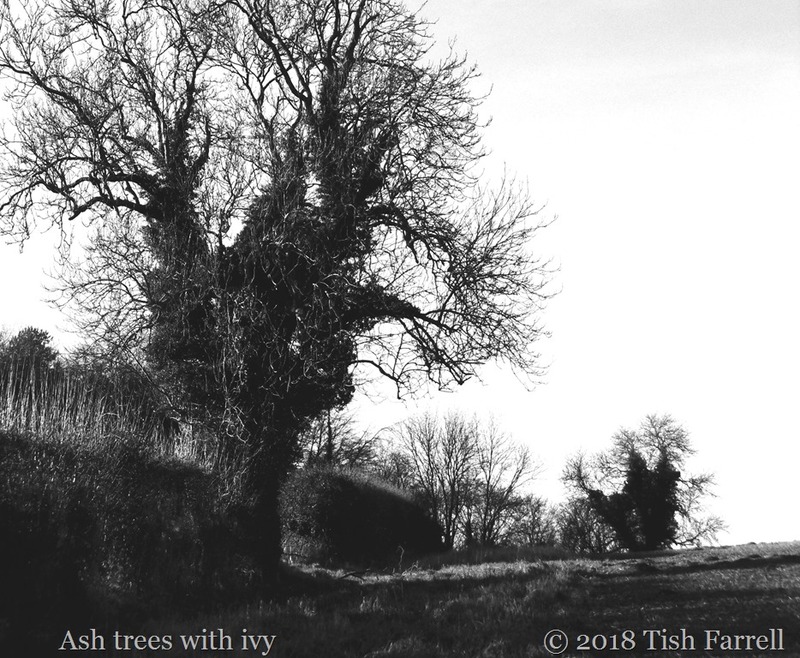 What a lovely black and white shots, Tish. The first one is my favorite one. The way you caught the cloud make it looks so magical.. Thank you, Cee. See what you inspired! 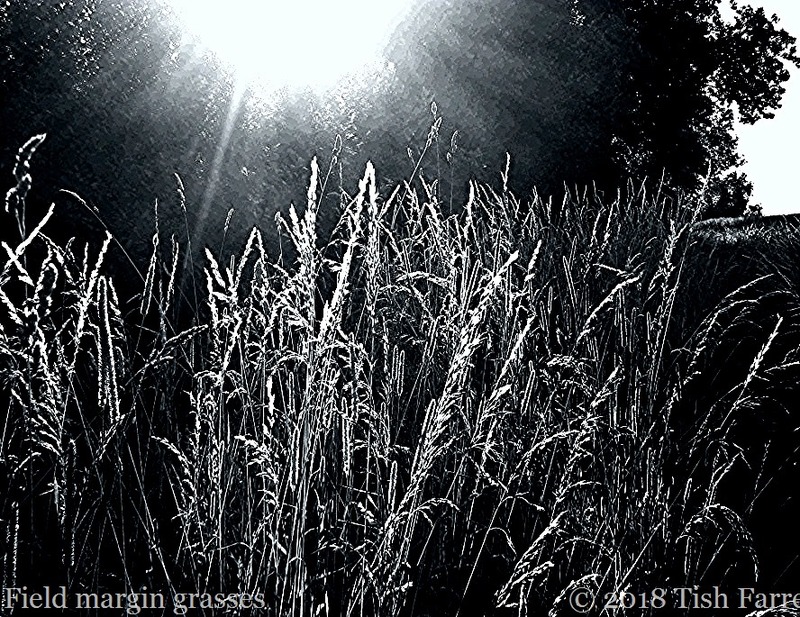 Beautiful set, my favourite is ‘Field Margin Grasses’. Thank you, Sue. I do appreciate your comment. Some great shots here. 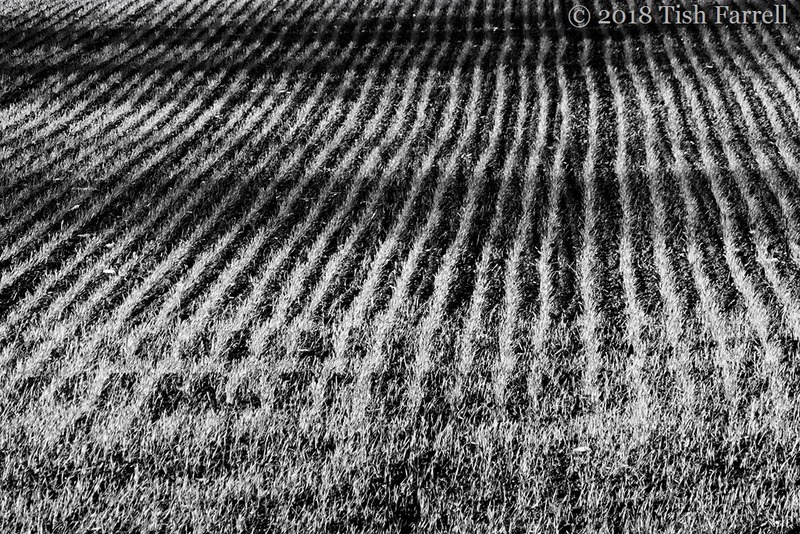 I like the furrowed fields and the close ups. 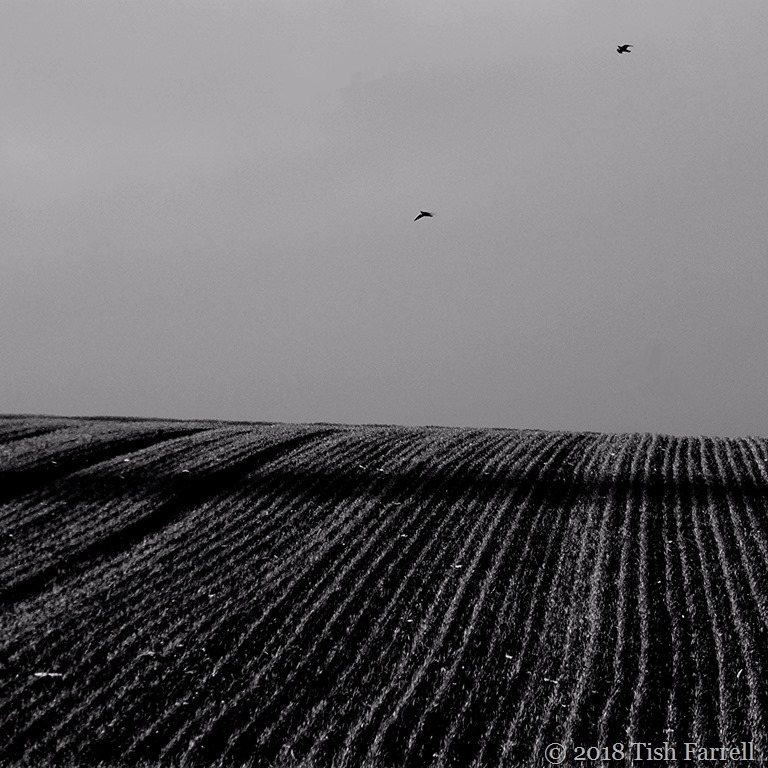 The furrows are my current favourites, though actually it’s a trick of the light, I think. Lots of tufty wheat. Oh – they look like a ploughed field. I know that you often use earlier photos, so it’s hard to keep track, but your photography seems to get better and better. What a view! Take away colour and the textures and patterns become so much more visible. Lovely shots Tish. BTW: building a school near a quarry? I was going to say that wouldn’t happen now, but actually it wouldn’t surprise me. So beautiful Tish! The black and white shows up the textures beautifully. Reminds me of when we used to stay on an air base called RAF Whitton. 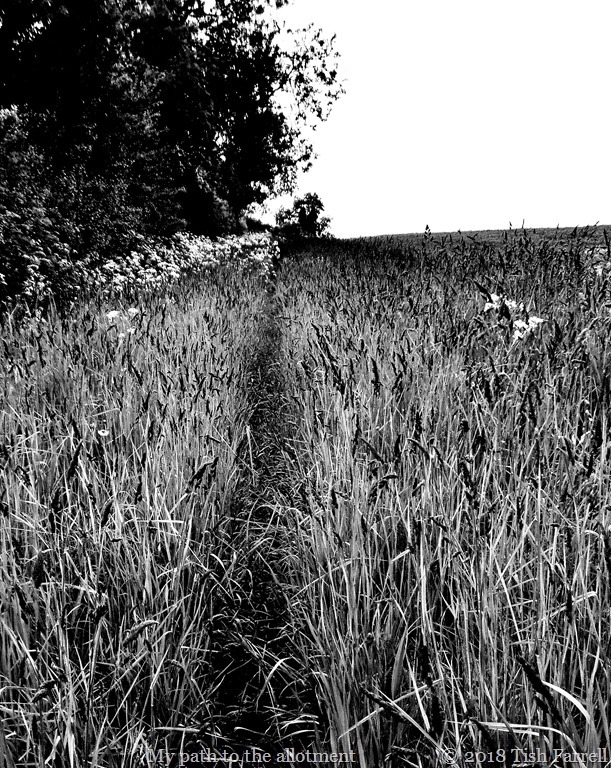 Our road was a cul-de-sac and at the end was the beginning of endless fields. This was where I first learned to ride a bicycle so it was quite a few weeks ago! It also has a similar feel to when we stayed in Ramsay. 1 Lime Road – still there, you can Google it! We lived in the corner house and there were miles and miles of fields just past the next road. We will definitely be going for a stroll the day we pop over to your s+pot for a cuppa! The crows in the last shot look like cardboard cutout silhouettes. ‘quite a few weeks ago’ LOL. 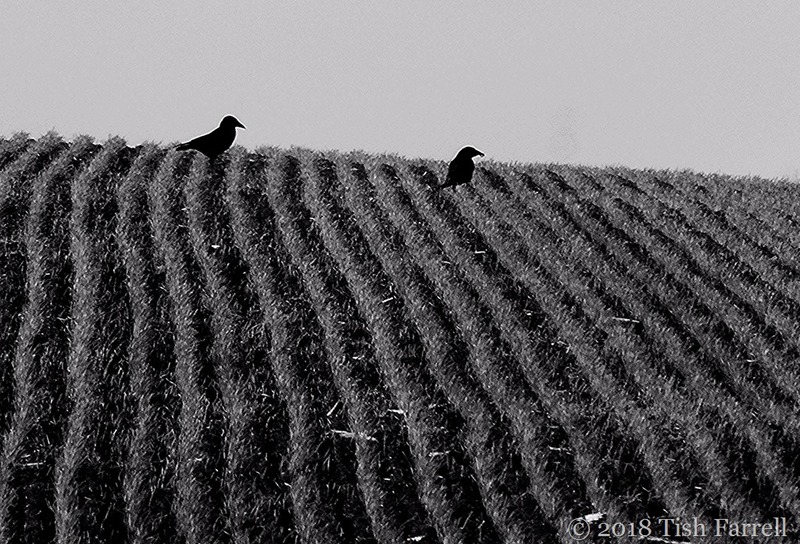 The field is ready and waiting for that stroll, and yes those crows were being most obliging to stay so still. They usually fly off when they spot me. it’s amazing – those fields behind 1 Lime Road are STILL there. 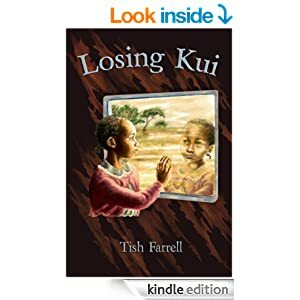 Also I was going to mention Mak’s mid November blog post about visiting Kisumu and among other things, calling in at the homestead and washing his chickens’ feet. We were vaguely wondering if you went in for this interesting piece of hen maintenance. I’d never heard of it. I haven’t heard my crew mention this practice yet. Ems puts garlic in their drinking water and Celeste feeds them chocolate cake and rice (separately) as a treat! I must do the Googly Earth thing. Star Lane – the road that runs adjacent to Lime Road used to have a couple of poultry farms and there were stables behind our house. We had a boxer called Bruno and now and then he would disappear for hours, Upon his return – usually mudcaked and exhausted – he would occasionally appear at the back door with a chicken between his jaws! He was incorrigible. We eventually had to give him away as we were warned there was a real danger he might get shot by a farmer. My gran knew a couple who owned a pub near her that were willing to take him.